The world’s tallest building, Burj Khalifa, opened in 2010, has a height of 828m with a super fast elevator to the 125th and 148th floor (555m) for a breathtaking view of Dubai. 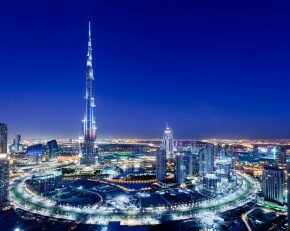 Burj Khalifa was designed to lift the spirits of a nation and. At the forefront of technology and qualifiable "concept city" Masdar City has extremely accomplished features of a smart city and eco-city. More than half the world's population now lives in cities while at the territorial level, they represent only a small part of.